Crackdown, the open-world third-person shooter from Realtime studios, which tasks you with cleaning up the street of Pacific City as a biologically enhanced agent, will be August’s first free game for Microsoft’s ‘Game With Gold’ promotion. First spotted over at Ultima and later confirmed by Major Nelson, Xbox Live Gold subscribers can look forward to be able to download Crackdown for free and start cleaning up the streets of Pacific City with a co-op buddy starting tomorrow. This also means that Assassin’s Creed II won’t be available for free to Xbox Live Gold subscribers any longer as soon as Crackdown goes up for free. Additionally, Dead Rising 2 and it’s Xbox Live Arcade prequel Dead Rising 2: Case Zero will be available for free from August 16 and on, according to Major Nelson. 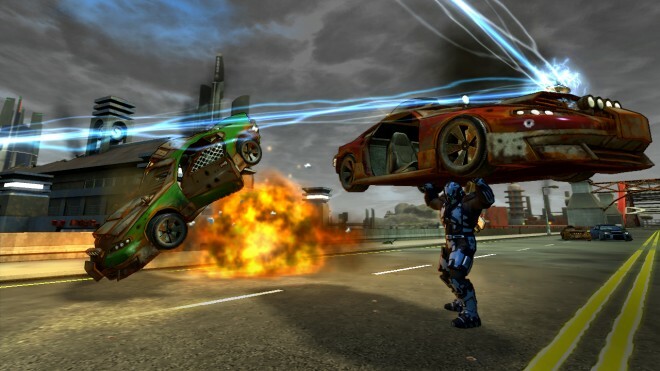 Will you playing Crackdown when it becomes available for free? Let us know in the comment section below! Thanks, Patrick, for the tip!